This article is an updated version of a paper first published in Circunstancia, Year VII, Nº 18, January 2009, a journal of the Spanish Foundation Jose Ortega y Gasset, in colaboration with the Royal Elcano Institute. Israel is fighting not only Hamas, which is a radical Islamist religious/political movement whose ideological and strategic goal is to destroy Israel as a Jewish state in order to build on it a Sharia Islamic Taliban-style one, which is facing a coalition of radical actors – Iran, Syria, and Hezbollah – which is responsible for the destabilization of the entire Middle East for the last two decades.. Hamas poses strategic short and long-term threats of destabilization on Israel as well as on the Palestinian structured entity in the West Bank and Gaza. The Israeli military campaign (“Cast Lead”), that started in 27th December 2008,as a reaction to Hamas’ strategic decision to end violently the temporary six month ceasefire, is to crack and weaken Hamas is aimed to restore Israel’s deterrence on Hamas, dismantle its terrorist motivations and operational capabilities in Gaza Strip and create a new strategic reality in the southern border of Israel. Another dimension of the long term strategic long term outcome of the current Israeli military actions is to suppress Hamas entrenched and victorious in the Gaza Strip which represents a radical Islamic threat to the moderate Palestinian leadership in the West Bank and future affects on the stability and possibly the survival of the moderate Arab regimes in Jordan and Egypt, threatened by radical Islam take over. Israel’s current military all out campaign in Gaza Strip is directed against a Hamas terror radical regime that has controlled the Gaza Strip since its 2007 coup, creating the conditions of the emergence of other militant global Jihad oriented Islamist organizations in Gaza in the past two years. If Israel clearly defeats Hamas,Mahmoud Abas(Abu Mazen) will win. He will claim that he attempted to avoid the confrontation, but Hamas's stubbornness, insensitivity to Palestinian interests, and work on behalf of regional powers provoked Israel's actions. Abas will be able to present himself to the people of Gaza as the savior who will rebuild what Hamas has destroyed with its adventurous and destructive policies. The success of Israel’s military campaign to reach its security objectives and crack Hamas, as declared by the Israeli government, will have a direct impact on the Islamization and radicalization of the Palestinian issue as represented by Hamas, which poses a threat for any potential progress towards peace between Israel and the Palestinians. Hamas’ radical Islamic foundations and ideological commandments are “non-starter” positions. The new reality created by Hamas in Gaza poses a great deal of concern within the Palestinian secular national movement, in Israel and the west as well. The Palestinian national aspiration towards a rational pragmatic two states solution, are threatened by the Islamic Hamas whose maximal, irrational radical Islamic aspirations pose internal Palestinian danger to the very existence of the PLO, Fatah and the Palestinian Authority in the West Bank. The simple strategic equation should be clear, metaphorically presented within a connected vessels system, suppressing military and political measures in weakening Hamas will directly effect the strengthening of the future of Palestinian Authority. A successful outcome of the Israeli military campaign in Gaza to weaken and break Hamas as representing of the radical Islamic global and local threat, creating a new fundamental security strategic change, will have a direct effect and a major impact on role of the Palestinian Authority within the internal Palestinian arena to fulfill its national political aspirations and goals. The outcome of the conflict in Gaza will shape the future of the Palestinian politics. A clear defeat of Hamas would strengthen the PA's internal position for the first time since losing Gaza in 2007. However, an unclear outcome that restores the status quo or ends in a relative stalemate would allow Hamas to claim victory. The London Arabic daily newspaper “Al-Hayat” published an extensive interview with Muhammad Dahlan, member of the Palestinian Legislative Council (PLC) and member of the Revolutionary Council of the Fatah Movement, formerly head of the Palestinian Preventative Security Force in the Gaza Strip and Arafat’s protégée. The interview included 4 segments published between August 30th and September 2nd 2008 on the newspaper’s website. In the first segment Dahlan claims, “…there is no difference between the Hamas, interested in establishing an Islamic Emirate in Gaza, and Al-Qaeda” . According to Dahlan, there is no certain indication that the decision to take over Gaza has been arrived at by the Hamas alone or with the aid of outside factors, but the result, according to him, is clear – Hamas intends to establish an Islamic Emirate in the Gaza Strip. Dahlan has noted the Al-Qaeda influence in Gaza strip and claimed that the conditions and the environment are suitable for enhancing Al-Qaeda’s influence. According to him, the Gaza strip is fraught with chaos and weapons. In Gaza there is a state of loss of vision and strategy with the Hamas and also amongst all the forces of power active in the Gaza strip, which a suitable is an environment for Al-Qaeda. Dahlan concludes, “as far as I am concerned, there is no difference between the Hamas and Al-Qaeda. They are all the same”. In his eyes, Hamas is not a force that will prevent the entry of Al-Qaeda factors into the Gaza strip, as claimed by Hamas leader in Damascus Haled Masha’al. Dahlan states that Hamas itself, as a radical Islamic Palestinian organization, is not a source of national Palestinian pride when under its actual rule in the Gaza strip it has murdered 600 people a year, injured about 2,500 people, crippled 800 to 900 people and has made thousands of arrests. Dahlan states” this Islamic model has no connection with Islam in its tolerant means” as everyone knows. Based on Dahlan statements and analysis of Hamas activities since its inception in 1987,it is evident that the strategic objective of Hamas within the Palestinian arena is to take over and replace the PLO in the leadership of the National Palestinian Movement. For that end, the Hamas aspires to take over the PLO and its institutions including the Palestinian Authority’s governmental, security and civil apparatus established in 1994 as a result of the implementation of the Oslo Accords signed between Israel and the PLO, that was recognized by Israel for the first time, under the patronage of the international community as the “sole legitimate representative of the Palestinian people”. Following the success of Hamas’s military takeover in the summer of 2007, over the Palestinian Authority’s security organization in Gaza, Hamas’s complete takeover of the Gaza strip was completed in the summer of 2008 with two additional power moves in the field of the civil system, taking over control on the educational and health systems, thus Hamas has completed its takeover of the Authority’s systems and has established a new reality on the ground, to the surprise of the world. Many Islamic groups support democracy as a practical tool to arrive into power and strive to it for the realization of their ideology, but do not agree with democracy as a political “idea” at its root. They view the democratic concept as a golden opportunity for realizing the “white revolution”, which will bring them into a position of political power, without the need for violence. Algiers is a typical example of an Arabic democracy that has brought radicalism to the forefront of the political stage, under the patronage of embracing the idea of freedom and liberty. The elections for the Algerian parliament, held for the first time in 1991, brought the extremist party “The Islamic Rescue Front” to win the election with a vast majority, which ultimately led to a military coup whose objective was to weaken the extremist forces. Hamas, as various other Islamic terrorist organizations in the Middle East, embraced the golden opportunity given to them to exploit democracy, allowing elections and embrace it as a tool for realization of the radical ideology and bring it to government in a democratic fashion. Dahlan’s statements reflect a deeper strategic insight to a historic and gigantic development within the Palestinian arena regarding the right of representation of the Palestinian cause. The streak of success in the election process for the local councils held in 2005 and the elections for the Palestinian Legislative Council in January 2006, has provided Hamas with the justification to the claim that from the results of the elections it has been proven that the Palestinian people have spoken in favor of its support of the Hamas and placing it as a newly genuine legitimate force, at the forefront of the Palestinian leadership instead of the historic traditional PLO. Hamas which in fact is a radical Islamic organization, far removed from values of democracy, has adopted the democratic argument and claims that from now on, it is the representative of the Palestinian people, while posing a new threatening challenge to the arrangement existing since 1964, where the PLO has taken the right of representation and leadership of the Palestinian cause. The Palestinian National Covenant, PLO’s founding document, defines the organizations’ objectives. In its original version the covenant was ratified by the PLO in its first sessions in 1964, the covenant was redrafted more clearly by the Palestinian National Council (PNC) in its session in Cairo in July 1968. In the summit meeting if the Arab League that was held in Rabat, Morocco’s capital, in October 1974 the Arab countries decided that as of that date that the PLO will be considered the sole legitimate representative of the Palestinian people. The council’s decisions limited Jordan’s ability to maneuver and revoked its ability to reclaim the West Bank, a fact that ultimately led to the process of King Hussein’s detachment from the West Bank in July 1988. On September 9th 1993 the Israeli Prime Minister Mr. Yitzhak Rabin and the PLO leader Yasser Arafat exchanged letters where the PLO chairman recognized the State of Israel and has defined the Palestinian Covenant articles denying its existence as “invalid and un-implemental”. In his letter of response Yitzhak Rabin recognized in the name of the State of Israel the PLO as the organization representing the Palestinians. In an additional letter sent by Arafat to the Norwegian Foreign Minister, Arafat calls to the Palestinian people to cease all violence. The declaration of principles of the Oslo Accord signed in initials secretly in Oslo on August 20th 1993 was finalized with a public ceremony in Washington on September 13th 1993. Following this agreement and subsequent agreements, the Palestinian Authority was established. Some of the organizations comprising the PLO were strongly against the Oslo Accords and the Palestinian Authority’s policy, including the Hamas who isn’t a member of the PLO and who constantly tried to sabotage the PLO’s achievements as a representative of the Palestinian nationality. The Oslo Accords caused in fact a rift in the PLO between the Fatah and smaller organizations supporting it and the opposition organizations (the rejection front). This situation brought on the paralysis of the Palestinian National Council who convened only once since the Oslo Accords in 1996 and a significant reduction in the activities of the PLO Executive Force. During the years between the Oslo Accords and the outbreak of the Al-Aqsa Intifadah in September 2000, the PLO as an organ was very much marginalized by the newly born Palestinian Authority, which took its place. The similarity that was created between the two entities due to the fact that the head of the PLO was also leading the Authority and the leadership of the Palestinian Authority was comprised from the Fatah leadership facilitated the transition and the PLO’s and Fatah’s transition from a national organization using terrorism to the Palestinian Authority who has governmental right in parts of Judea and Samaria and the Gaza strip. With the death of Yasser Arafat on November 11th 2004, Mahmmoud Abbas (Abu Mazen) was elected chairman of the Executive Force of the PLO. Following this exchange there was additional recuperation in the PLO’s organizational institutions. On the other hand, there was a decrease in the PLO’s power in face of the Islamic organizations (mainly Hamas) in the fight for control over the Palestinian streets. The elections that took place in 2006 when the Hamas overpowered the Fatah and achieved majority in the Legislative Council, when the presidency was still under the control of the PLO, emphasized and deepened the rift between the PLO as a secular national Palestinian movement and the Hamas who challenged the Palestinian Authority’s legitimacy in continuing to represent the Palestinian interest. Hamas victory in the elections for the Legislative Council signaled the beginning of an all out campaign to de-legitimize the Palestinian Authority and its head the deployment of a propaganda campaign for the heart of the Palestinian public to support Hamas who has won in democratic elections to lead the representation at least in the Legislative council. Taking over government in Gaza during an armed and violent takeover and Palestinian Authority’s government institutions, were another step in the takeover and defiance process of the Hamas in face of the Palestinian government bodies and stating a final fact pointing to the weakness and the lack of legitimacy of the Palestinian Authority led by the PLO as leader and representative of the Palestinian public in the Gaza strip. After Hamas’s victory in the elections for the Legislative Council and the failure of the parties to form a political coalition to set up new government, in a rally held at the Gaza strip on January 17th 2007 commemorating Fatah Day, Muhammad Dahlan – one of the Fatah leaders, said harsh words against Hamas and promised that Fatah shall respond with force to any attacks its people. In reaction to the crowds’ shouts against Hamas “Shiite, Shiite” Dahlan cut them off and stated: “Fatah does not say what they [people of Hamas] have said. They are not Shiite but murderers. We shall not respond to bloodshed but with unity of Fatah and its roots in the Palestinian soil”. In response to Dahlan, Hamas spokesman at the Legislative Council accused Dahlan that he is leading a Zionist plan to a military revolution against the Palestinian people and their government. “Dahlan’s words are an attempt to ride the wave, on the back of the Fatah movement and exploit the atmosphere of chaos spreading civil war between the Fatah movement and the Hamas, to create hostility amongst the Palestinian people against one another, divert attention from our real conflict with the Zionist enemy and mask the corruption that one day will be exposed to the entire people”. On November 2007 the Hamas government in Gaza announced the “firing” of PLO’s representative to the U.N. Riyadh Mansur after presenting a proposition to the U.N. General Assembly calling for outlawing the Hamas and other resistance organizations. This decision had no practical ramification but it constitutes another attempt by the Hamas to illustrate the PLO’s lack of relevance. This step was meant to demonstrate a process of de-legitimization of the PLO in its current form – the Hamas undermines the PLO’s authority in its current form to represent the entire Palestinian people. Dahlan who is aware and worried about Fatah’s and the PLO’s weakness in face of Hamas’s rising power revealed in another interview given on September 28th 2008 to the Saudi daily paper “Okaz” the fact that Israel has agreed to Abu Mazen’s request to allow the arrival of Fatah leaders living outside the occupied territories to the Convention of the Fatah General Council to be held in Ramallah. According to Nazareth-based newspaper reports, Palestinian President Mahmoud Abbas has received permission from Israel to allow Fatah officials living abroad to enter the Palestinian territories for the organization's sixth conference scheduled to be held in Ramallah. The agreement between Israel and the Palestinian Authority is similar to the one reached with Yasser Arafat during the National Council meeting in Gaza in 1996, when Israel allowed the entrance of many wanted Palestinian officials. This maneuver is meant to allow Fatah and Abu Mazen and his supporters to win over support and strengthen his position in the divided Fatah movement and strengthening it in face of the ongoing erosion of the Palestinian Authority’s legitimacy also in the West Bank. In the interview Dahlan further revealed that Hamas leadership located in Syria together with other Palestinian factions (the rejection Front) politically identified with Hamas in Damascus, acted together towards establishing a new PLO council parallel to the PLO’s historical Palestinian National Council headed by the Fatah, established in the 1960’s. According to Dahlan, the Hamas initiative to establish the alternative entity was stopped by Syria. Dahlan noted that Fatah does not have a monopoly over the PLO and that they are willing to allow Hamas to join the PLO as previously suggested by Arafat to Hamas in talks held in Sudan (January 1990), a suggestion which at that time was rejected by Hamas. One of the examples publicized recently reflecting Hamas’s stance regarding the non-legitimacy of the Palestinian Authority and the PLO, is reflected in an article published by Ibrahim Ghausha, representative of Hamas in Jordan in the “Al-Majd” newspaper on September 29th 2008. The writer states that the Palestinian Authority led by the PLO lacks legitimacy in light of the results of the elections and also due to the fact the Authority and Abu Mazen are a tool for promoting the interests of Israel, the United States and the members of the European Quartet. Ghausha goes on to declare that in regards to the Palestinian Liberation organization (PLO) and the Palestinian National Council, the Hamas movement will be willing to acknowledge these institutions only after its re-establishment based on the democratic principle, holding free and clean elections in the “inner” territories (i.e. West Bank and Gaza) and “outer”(i.e. the Palestinian Diaspora around the world) that will bring to the establishment of a free Palestinian National Council, an Executive Force and other institutions of the PLO comprised of new people instead of those today acting in the service of Mahmmoud Abbas (Abu Mazen) who abuses the PLO and its institutions for political and other maneuvers. Ghausha’s position express Hamas’s premise that if general elections for the PLO will indeed be held, Hamas and the Palestinian rejection front organizations will win the majority of votes in a democratic expression of the Palestinian’s desire. This new post election reality will cause a historical revolution in the PLO that will change from a secular-national representative entity into an entity representing the radical national Palestinian Islamic interests as might be reflected in the results of the elections, and the victory of Hamas in the Legislative Council. Hamas’s attempt to establish a “new” PLO as a framework of a new authentic alternative and a new legitimate leadership instead of the “old” PLO is at the basis of Muhammad Dahlan’s fears. Dahlan is aware of a concrete threat facing the Palestinian Authority in the fight for the right to represent the Palestinian cause, and Hamas’s challenge against the “old order” after its victory on the elections to the Legislative Council, especially after its complete takeover of Gaza in the summer of 2007, when the Palestinian Authority in Gaza has collapsed. The events mentioned above sharply emphasize the difference in ideological perception between the Fatah and Hamas as expressed violently in the rally held at the Gaza strip on January 17th 2007 commemorating Fatah Day, when in an unprecedented manner Hamas was nicknamed “Shiite” by Fatah supporters. It is obvious the Hamas is not a Shiite movement and the call of the masses was not due to a mistake. The call of Shiite was intended as an insult to the Hamas, an insult as an expression of lack of religious and political legitimacy. The comparison to the Shiite (who is perceived by the popular Sunni belief as inferior, contemptible and despicable) was meant to reflect the hostility and the fear of Fatah supporters from Hamas, which threatens the continuation of the PLO’s historical legitimacy and leadership and the secular Fatah. The radical Islamic Hamas, who has won the elections for the Palestinian Legislative Council views its victory as the justification and the legitimate and legal basis for its striving for the implementation of Islam’s religious and political principles and the “Sharia” and the duty to establish an Islamic religious state in Palestine as obliged by the principles of its religious-political belief as expressed in the Hamas Covenant. This is the real essence of Hamas’s battle in its fight for getting complete Palestinian legitimacy to which it is entitled as reflected by the results of the elections, a fact that gives in its eyes and according to its understanding the right and position to be the sole, legal, and legitimate representative of Palestinian cause. This issue was and still is, the core conflict and the strategic threat posed by Hamas and global Jihad entities towards the Palestinian Authority, the PLO and the national-secular Fatah movement as accepted by the international community as representing Palestinian interests in all future political arrangements with Israel. The Palestinian Covenant is one of the constitutional Palestinian documents that constitute the ideological platform for the Palestinians, as a legal constitutive document of the PLO, presenting the organization’s doctrine regarding the national struggle. The Covenant includes the national goals of the Palestinian people and states that “the PLO is the sole representative of the Palestinian people and the Palestinian right for self determination” and it will be realized with the establishment of a state on all Palestinian land. Articles 25 and 26 of the Covenant stated that for the end of realizing the goals of the treaty and its principles, the “Palestinian Liberation Organization” will hold its complete role in the liberation of Palestine in the sense that the PLO is the operational branch of realizing and achieving the goals of the Covenant. It was also stated that the PLO, embodying the forces of the Palestinian revolution, is responsible for the movement of the Palestinian - Arab people in its struggle for reclaiming its homeland and its liberation, is responsible for its return and responsible for keeping the right for self determination. This responsibility is in all aspects: the military, political and financial, and as will be demanded by the problem of Palestine, the responsibility will be in two levels: the Arabic and the international. The decisions of the Palestinian National Council taken in February 1983 stating “the PLO is the sole representative of the Palestinian people and all its revolutionary institutions and organizations that express the will for freedom and independence”. PLO’s success in getting this type of decision despite the loss of the territorial stronghold in Lebanon after the first Lebanon war in 1982 and his banishment to Tunisia. The first Intifadah that erupted in December 1987 moved the Palestinian center of gravity back to the occupied territories from “external leadership” (Tunisia) to “internal leadership” (the West Bank and Gaza strip) with Muhammad Dahlan amongst its prominent leaders from the younger generation. Its results as expressed in the Oslo Accords in 1993 and their implementations, brought the establishment of the Palestinian Authority, created a reality of return of Palestinian secular nationalism to the territories and the realization of a national Palestinian reality with a renewed territorial stronghold in the territories lost since 1948. The establishment of the Palestinian Authority was the actual political realization recognized by Israel and the world as a practical expression of the recognition that the PLO is the legal legitimate representative of the Palestinian people, who has the right of exclusive representation and the independence of decision of the Palestinian people. Already back in 1993, Hamas viewed PLO’s achievement of territorial political establishment in the occupied territories as a strategic threat, challenged and acted to foil the implementation of the agreements in every possible way including the use of terrorist attacks in various stages of the negotiations between Israel and the Palestinian Authority during the years between 1994 until the eruption of the “Al-Aqsa Intifadah” on September 2000. Hamas viewed the Oslo Accords as a negative and illegitimate development where secular PLO has betrayed the Palestinian cause by recognizing Israel and its willingness to reach a historical compromise including the possibility of reaching an agreement about the end of the conflict. Hamas’s on going attempts to weaken the Palestinian Authority and establish an alternative PLO and leadership (Qiyada Badila-Arabic) constitute a threat on the traditional PLO and the Fatah leadership. This fact poses a challenge in face of what is left of the Palestinian Authority in the West Bank headed by Fatah and Abu Mazen. From this it can be understood the seriousness in which Muhammad Dahlan takes the Hamas and the radical Islamic movements getting stronger in the Gaza strip under the patronage of government and Hamas (as in the western bank), as a radical Islamic center of gravity with tendencies to global Jihad as an ideological, political and religious alternative to the national-secular ideology rule of the Palestinian Authority headed by Abu Mazen and the Fatah leadership, who is fragmented in conflict and internally divided between various centers of power within its leadership, one of its leaders is also Muhammad Dahlan himself. The real battle between the Fatah and the Hamas takes place to a great extent behind the scenes and in a fashion that does not receive headlines. The fight is not only for the legal legitimacy and right to represent the Palestinian cause and its people, but also for the ideological, doctrinal, national, personal and physical survival. The Palestinian historical achievement backed by the Arab and Muslim countries, which was achieved by Yasser Arafat in an ongoing battle since the mid 1960’s, is now in danger of being expropriated by the Hamas. The achievements of the PLO molded by the Fatah after 1967 as a national secular Palestinian revolutionary movement (“Filastin Al- Thawra”-Arabic), is threatened by the Islamic alternative (“Filastin Al-Muslimah”-Arabic), which poses the solution through the religious principals of Islam (“Al-Islam Hu Al-Hal” – Islam is the solution). On June 15th, 2007 a few days after the Hamas take over of Gaza, Dr. Nizar Rayyan a prominent Hamas leader and a lecturer at the Islamic university in Gaza has openly declared that the secular era in Gaza has ended and Islam will triumph over the Infidels. Rayyan promised to turn the headquarters of the National Security Forces in Gaza into a big mosque and to deliver a sermon at the presidential headquarters. In addition, he said: "In a few hours, the secular era in Gaza will end without leaving a trace... Today heresy ends. Today the struggle is between Islam and the infidels, and it will end with the victory of the faith. On June 20th 2007, about a week after the Hamas has completed its takeover of the Gaza strip, the Palestinian Authority President, Abu Mazen has delivered an emotional and angry speech to the PLO’s Central Committee in Ramallah. Abu Mazen has emphasized that establishing an “Islamic Emirate” under the control of Hamas in the Gaza strip has no legitimacy and no roots in Islam. According to him “it is a struggle between the [Palestinian] national project and the project of the militias, between the Homeland project and the “Emirate” project or the fake country…” Therefore Abu Mazen has stated that “there is no dialogue with these murderous conspirators” “and there is no choice but to end the revolution on all its aspects and phenomena…” Fatah officials and columnists in the PA daily news papers were skeptical of the Hamas' declarations that it would not try to impose Islam upon the citizens in Gaza. They said that the acts and statements of Hamas - destruction of monuments, attacks on Christians and calls to establish an Islamic emirate - portended a Taliban-style reality. "[Hamas] members destroyed the monument of the unknown soldier [in Gaza] just as the Taliban destroyed archeological sites and monuments in Afghanistan." In this context one should be reminded of Abu Mazen’s speech in January 2007 regarding the legality of the Palestinian representation where it was claimed that after the Hamas has won the elections to the Legislative Council, all the organizations refused to participate in its government “as Hamas has refused to recognize the PLO who is the political backup and the source of the Palestinian Authority rule”. According to him, when he advised the Hamas to honor previous commitments and agreements, it refused to accept it. About eight months after the Hamas takeover of the Gaza strip in a successful, short and violent military coup, on February 27th 2008, in an interview to the daily paper “Al-Hayat”, Abu Mazen warned that elements of Al-Qaeda are in Gaza operating with Hamas’s knowledge enabling their entry and exit from the Gaza strip. With Hamas’s takeover of the Gaza strip, a radical Islamic entity was established practicing terrorism to achieve its goals, having tight connections with the “Muslim Brotherhood” in Egypt (whose Palestinian branch is Hamas), and with Iran, the radical Islamic Shiite state. During its takeover of the Gaza strip, Hamas has proclaimed its support of Islamic rule and its victory over infidels. This entity has found itself immediately to be in a violent conflict with Abu Mazen, chairman of the “Palestinian Authority” representing the national-secular Fatah movement and due to this, Abu Mazen and official Palestinian and Egyptian media used terms such as “Islamic Emirate” when describing the new entity that has been established in the Gaza strip. The term “Islamic Emirate” has a distinct negative connotation in the modern history of Islam. This term is referred to a small territory ruled by an Emir (leader) of a fanatic Islamic cult, trying to force radical Islam, while differentiating from its “infidel” environment. The large majority of Islamic organizations and groups who were active (and still are) in Egypt and other Muslim/Arabic countries wanted to organize in emirates ruled by Islamic law. Examples can be seen in the Al-Qaeda organization that has pronounced the establishment of an Islamic emirate in Iraq, the Fatah Al-Islam organization in Lebanon, the Islamic militias of the Shari courts in Somalia and Jihad groups in Egypt. At the end of August 2008 the crisis between the Fatah and the Hamas has reached the PA governmental schools on the Gaza strip. With the opening of the school year at the beginning of September 2008, the Hamas government has removed by force and fired many teachers and principals who belonged to the Fatah. In response, the Fatah teacher’s union has gone on strike and refused to come and teach at the schools. The Hamas, apparently prepared for this scenario, appointed in their stead 2,000 new teachers inclined politically to Hamas who had just graduated a few months before their training. The teachers supporting Fatah were afraid to break the strike and return to their posts due to threats from the union in Ramallah that they will not receive their salary if they do. The Hamas government has fired them and brought in their stead the young teachers who have recently finished their studies at the universities. At the same time the Hamas police have raided the offices of the “Palestinian Teachers’ Union” identified with Fatah in the Gaza strip and has taken them over. In addition, the police have detained dozens of teachers identified with Fatah for questioning, releasing them after several hours. Beforehand on August 24th 2008, about half of the teachers in Gaza announced a strike due to discrimination in their employment on the part of the Palestinian Ministry of Education in Gaza, controlled by the Hamas. They claimed that teachers supporting Fatah are transferred from the schools they were teaching at in favor of teachers supporting the Hamas, in order to reduce the organization’s influence in Gaza. The Deputy Minister of the Palestinian Ministry of Education, Muhammad Shkair, rejected their claims and said that the teachers were transferred due to “technical and managerial” reasons. Hamas’s takeover of the educational system at the Gaza strip proves the importance of this sector to the Hamas in the process of “Islamization” of the Gaza strip and the allocation of resources and personnel to the molding of the new image of the Palestinian society in Gaza. The educational system employs thousands of employees and requires a lot of current funding for the payment of salaries and the maintenance of educational structures in Gaza. According to Dahlan, the Hamas is a hostage of Iran, Hamas activists do not conceal it, saying that the Palestinian Authority and Fatah are allies of the United States, and this alliance causes injustice to other Palestinian sectors. Hamas and Iran, with the aid of Syria, have an interest in establishing a countering force. Iran, and Syria to a lesser degree, participates in the decision making process of the Hamas movement in Gaza and the headquarters in Damascus but not regarding Hamas leadership in the western bank. Iran is motivated by its own interests, and therefore is involved in expanding its influence in Lebanon, Iraq and Palestine through financial support, veraity of weapons, explosives, operational knowledge and training. The Hamas has never deviated from its devotion to the ethos and the Palestinian struggle as reflected in the Hamas covenant, and it strongly rejects the Jewish right to self-determination and calls for the establishment of a Palestinian-Islamic state on the entire land of “Palestine”. Since Israel’s disengagement from the Gaza strip (on August 2005) a new reality was created, which accelerated the establishment of Hamas’s distinct area of control in the Gaza strip. Hamas was wise enough to translate its strengthening power to more gains within the Palestinian political arena. In the elections for the Legislative Council (on January 2006) it won the majority of votes and comprised a government it headed on March 2006. Later on (on June 2006) the Hamas has taken over by force the Gaza strip, neutralizing the Fatah’s military and political power and the Palestinian security mechanisms, and established in the strip a radical-Islamic entity. This entity is supported by Iran and Syria, has its own internal and foreign policy, runs a campaign of terrorism against Israel and is separate from the Palestinian Authority in the West Bank, led by Abu Mazen and the Fatah. Following the Hamas’ takeover of the Gaza strip in mid June 2007,a radical Islamic political entity was created, with the markings of a sovereign country. This entity controlled by Hamas, a movement with a radical Islamic ideology, aspires to apply it on the general Palestinian population beyond the enforcement of the Islamic social codes in daily life, Hamas controls the social-educational-religious systems acting for the assimilation of radical Islam, according to Hamas’s point of view, amongst the population in the Gaza strip. The process emerging since Hamas’s takeover of the Gaza strip is of turning radical Islam into a mandatory way of life influencing the people’s daily lives. The population, forced to adopt a more strict religious Islamic line as a public expression of their total loyalty (Baiya-Arabic) to the Hamas government characterized by an ideological aggression as a built-in modus operandi due to its nature. Another step towards Islamization of the Gaza strip by Hamas was demonstrated in a Hamas press release dated November 5,2008 where the Hamas administration's Legal Advise and Legislation Office in the Gaza Strip announced that, within its capacity as legislator, it was drafting penal codes according to the “noble Islamic religious law”. The office said that the bill included penal codes based on Quran laws, punishments based on civil law, ransom, punishments that do not appear in the religious law and which are decided by the Hamas administration, imprisonment, fines, and confiscation. It also includes a separate chapter dealing with computer and Internet crime. After the bill is drawn, it will be submitted to the administration that will order the Hamas-controlled Legislative Council to approve it in accordance with legislative procedures. The new bill promoted by Hamas consists of 14 chapters and 220 clauses with a special chapter that renders obsolete the old penal codes. The new penal codes wishes to abolish Gaza Strip's traditional old secular penal codes which date back to the British mandate in 1936, the Jordanian penal codes that are in force in the West Bank, as well as the Egyptian laws and Israeli military decrees. This reality crystallizes the growing difference between the Gaza strip ruled by the Hamas and the West Bank ruled by Abu Mazen and the Fatah with their national-secular character. Under Hamas’s rule in Gaza, organizations characterized as global Jihad began appearing and started carrying out attacks against western entities present and operating in the Gaza strip. Under the auspices of Hamas rule, since 2005 a new radical Islamic stream was established mainly composed by Hamas and Islamic Jihad operatives, disillusioned from the “pragmatic” conduct of Hamas, its deviation and betray from the path of Jihad. This radical entity bearing the Arabic Islamic name “Jaljalat”(Rolling thunder, peal) is new pro Al Qaeda and global Jihad oriented compilation, operating in Gaza strip without any interference of the Hamas government, as a spearhead committed to maintain the “flame” of Jihad against Israel and to “purify” the Palestinian society from western presence and influence. Radical Islamic organizations, which are identified with the “Jaljalat” bear Islamic names taken out from the Islamic narratives and myths repository which leaves no doubt of their global Jihad nature: “The Army of the believers-Al Qaeda in Palestine”,” The Army of Islam”,” The Mujahideen battalions”,” The Army of the Ummah-Jerusalem” “Fatah al-Islam in the Land of Ribat”, “Abu Rish Brigades – Sword of Islam”, “The Jerusalem Jihad Warriors movement” and others less known. "He (God) it is who shows you the lightning for fear and hope (of rain); and He brings up heavy clouds, and the Thunder celebrates His praise; and the angels, too, fear him, and He sends the thunder-clap and. overtakes there-with whom He will; yet they wrangle about God! But He is strong in might." Its use in the Jihadi context reflects elements of divine power, force revenge and overwhelming superiority of Jihad in the name of Allah. Images of lighting, tornadoes, and hurricanes suggest God’s power, wrath, and justice. Certain Jihadi groups may associate themselves with these symbols as a means to exaggerate their power and imply that they are acting on God’s will. Thus, by using these symbols, Jihadi groups are able to represent themselves and their cause as extensions of divine power. Jihadi groups often use these motives to demonize the suicide bombers phenomenon regarding to their supreme motivating and powers executed in the name and will of Allah. On February 15th 2008 an armed gang broke into the YMCA library in Gaza and blew it up. As a result the building was destroyed and thousands of books inside were burned. This is another attack on Christian western institutions and figures, performed by one of the global Jihad organization (probably the Army of Islam), flourishing in the Gaza strip and Hamas that controls the strip, does not prevent the phenomena from going on. Sources in the Gaza strip reported that behind the explosion of the YMCA building was Mumtaz Dughmush head the Army of Islam terrorist organization that has decided to take out the Christian congregation in the Gaza strip causing embarrassment to the Hamas. Hamas security forces detained number Army of Islam activists but they were released after a short while, following a threat made by the Army of Islam it will forcefully release its activists. The “Army of the Ummah-Jerusalem” organization established in the Gaza strip during 2006 also views all Muslims as part of the Islamic nation, defines itself as a pure Islamic organization and therefore refrains from adopting national Palestinian characteristics. The group is yet another global jihad offshoot in the Gaza Strip. Since the Hamas takeover of the Gaza Strip, there has been an increase in the propaganda and terrorist activities carried out by radical Islamic groups associated with Al-Qaeda and the global jihad. In this concept it differs from the Hamas and the Islamic Jihad in Palestine who present a Palestinian- Islamic approach as organization that wish to realize national Palestinian objectives as well. The ‘Fatah Al-Islam on the land of Ribat” organization took responsibility for the shooting towards the Yad Mordechai Kibbutz. It is a terrorist organization operating in Lebanon constituting a branch of global Jihad. Its center of power was at the Nahar El-Bared Palestinian refugee camp in north Lebanon where it was quashed by the Lebanese army in September 2007. Recently it began taking responsibility for terrorist attacks from the Gaza strip mainly rocket launching and mortars. The Hamas rule in Gaza is accompanied at all times with the process of an unprecedented military growth in power and building of a military array, offensive and defensive, based on Hamas military branch activists and internal security mechanisms controlled by Hamas. Apart from them, in the Gaza strip operating several other terrorist organizations, whose numbers are estimated to be between 3000 to 4000 people. Between the Hamas and most of these organizations there is a close operational cooperation, which the Hamas attributes great importance to. Especially prominent is the operational cooperation between the Hamas and the Popular Resistance Committees and the “Army of Islam”. In reference to Islamic groups ideologically close to the idea of global Jihad and Al-Qaeda, Dahlan states in the interview that the “Army of Islam”, a local organization in Gaza strip is led by Mumtaz Dughmush, is ideologically close to Al-Qaeda but does not belong to the Hamas. According to Dahlan, the important thing is that Hamas has exploited the” Army of Islam” as its tool, serving Hamas’s own interests and employed at a certain period of time in performing several assassination and missions against the Palestinian Authority and part of its leadership in the Gaza strip. The “Army of Islam” that is led by the Dughmush family members, is involved in criminal activities and operates openly and publicly in cooperation with Hamas regime in Gaza. Dahlan recounts that Dughmush was one of the officers of the Palestinian Preventative Security Force, led by him before the outbreak of the second Intifada, that gave birth to many factions, groups and interests and brought into Gaza the Hezbollah, Iran and other organizations. The “Army of Islam” has captured the public consciousness on May 8th 2007 about two weeks after the abduction of the British journalist Alan Johnston when it published a tape announcing its responsibility for the abduction and presenting its demands. The “Army of Islam” representative’s announcement included radical Islamic terminology used by Al-Qaeda and global Jihad entities identified as Al-Qaeda supporters. The “Army of Islam” is the name of a radical Islamic Palestinian organization in the Gaza strip numbering several dozen activists, ideologically identified with the ideas of global Jihad and keeping in contact with its activists. Heading the organization is Mumtaz Dughmush, a member of a powerful clan in the Gaza strip, who has retired a year ago with his group of supporters from the Popular Resistance Committees. The “Army of Islam” has maintained in the past close connections with Hamas, at least at its beginning stages. The “Army of Islam” has adopted characteristics of global Jihad activities, such as abducting foreigners and attacking places of recreation in the Gaza strip (such as internet cafes) that they believe hurt Islamic morality. The organization was one of the three organizations (Hamas and the Popular Resistance Committees) that announced their responsibility for the abduction of the Israeli soldier Gilad Shalit (June 25th 2006) and was also behind the abduction of two reporters from the American news network Fox News. The “Army of Islam” as a local Palestinian organization in the Gaza strip, with a radical Islamic orientation and ideology, acts for the promotion of global Jihad objectives, which are not predominantly Palestinian and whose scope goes beyond the Israel-Palestinian conflict that was characterized in the past as a national, ideological, secular and territorial conflict. The raise of Hamas and other radical Islamic forces has spilled over the conflict to a fundamental Islamic religious one, in large part thanks to the increased power and the rooting of Hamas in the Palestinian arena. Muhammad Dahlan is well aware of the fact that the achievements of the national Palestinian project are under concrete threat of being expropriated by Hamas, which is challenging and threatening the Palestinian secular nationalistic territorial achievements. Hamas strives to implement its Pan - Islamic religious as an Arab-Muslim definition with its territorial dimensions according to the idea of the Islamic “Ummah”(the borderless nation of Islam). According to Hamas, the liberation of Palestine is only one step on the road for establishing a global Islamic Caliphates. This is the true and threatening base of the struggle led by Hamas to undermine Fatah/PLO, which Dahlan speaks about pointing at Hamas as a threat akin to Al-Qaeda similarly threatens to overthrow moderate Arab and Muslim countries. Although Hamas is not Al Qaeda, it would be fair to see Hamas as a local Palestinian movement identifies itself with the radical Islamic concept of establishing an Islamic entity in Palestine as a first stage, then merge with other Islamic entities across the globe beyond the actual existing political order in which countries maintain its geographical boundaries. Its ideological roots, political agenda and principles striving to apply Islam rule everywhere, with the current and historical affinity to the Muslim Brotherhood movement as a worldwide organization. This ideology strives for the application of political and social-cultural principles and way of life as a universal Islamic concept, which later to became also one of the ideological basic principles of Al-Qaeda. Hamas praise and icon the heroic figure of the political-Islamic scholar and philosopher Dr. Abdullah Azzam, a Palestinian from the village of Silat Al-Hartia in the West Bank (near Jenin), a charismatic figure, Al-Qaeda’s ideologist who was Osama Bin Laden’s “spiritual mentor”. Dr. Abdullah Azzam, Bin laden’s mentor, is considered still a revered model in the Palestinian arena and amongst the Hamas who turned him into a model of inspiration and emulation, and amongst supporters of global Jihad around the world. Azzam’s ideology and concepts influenced Bin Laden to a great extent, which is the most influential figure in “global Jihad” these days; also Hamas strived to implant Azzam’s Jihadi doctrine and legacy amongst its people. Dr. Abdullah Azzam is still a major source of inspiration for Hamas as well as to the global Jihad organization around the world. Hamas acts relentlessly in emphasizing Abdullah Azzam as a Palestinian who influenced not only Jihad ideology in the local context of the Palestinian struggle, but also by aggrandizing his contribution and making him a role model beyond the local national Palestinian dimension to all global Jihad organizations including Al-Qaeda. Sheikh Yassin was directly tied to the one documented case of operational crossover between Hamas and al-Qaeda. Nabil ‘Ukal, a 27-year-old resident of the Jebaliya refugee camp in the Gaza Strip was a Hamas Da’awa activist undergoing religious instruction in Pakistan, was recruited in February 1998 for military training in the al-Qaeda camps of Afghanistan. In April of that year, upon completion of his al-Qaeda training, ‘Ukal visited Yassin in Gaza. The sheikh appointed a go-between and provided ‘Ukal with $5,000 seed money to finance ‘Ukal's Gaza terrorist cell. Later, when ‘Ukal and one of his recruits wanted to travel back to Pakistan and Afghanistan for additional training and meetings, Yassin provided another $5,000 and prepared a cover story for the Israeli authorities about medical treatment in Jordan. A month before his arrest by Israel in June 2000, ‘Ukal hosted Richard Reid, the "shoe bomber," in his home. Despite the fact that actuality Hamas’s operational activities focuses at this stage on Israel and the “territories”, as a radical Islamic organization it does not refrain from expressing ambitions and identification with the Islamic organizations active in other Jihad arenas around the world while expressing identification and solidarity with their actions and objectives (Afghanistan, Chechnya, Iraq etc). In this respect there is no cardinal ideological or long term strategic difference between Hamas and Al-Qaeda who operate for the achieving of same long-term goal, even though in the short term, and for tactical local operational considerations they act on different levels, directions and emphasis. While Al-Qaeda operates for the realization of its goals through global Jihad and Jihad arenas around the world, the Hamas at this stage and in the context of the Israeli conflict operates for the realization of its goals through local Jihad in the boundaries of the Palestinian Authority and in the State of Israel. At this stage and for various reasons Hamas is not interested in being identified as an organization belonging or acting as part of Al-Qaeda, even though it does not oppose and turns a blind eye to the strengthening of the extremism processes inspired by global Jihad entities and extreme radical organizations who adopt Al-Qaeda’s ideology and its patterns of action in the new territories under its rule in Gaza Strip.Hamas for practical reasons, wishes to distinct itself from the global Jihad and Al Qaeda as a local Palestinian organization, whose struggle is justified and needs the international community’s recognition. A full operational merge with Al Qaeda and being identified as such is perceived by Hamas counter productive and unbeneficial in their efforts to gain internal Palestinian political support coincided with political and funding support by Muslim and Arab states. These needs are often compensated with radical Islamic rhetoric and statements using similar radical Islamic motives and symbols similar to Al Qaeda.Yet, it is needed to point out that Hamas is still a radical Islamic movement which share a large number of common denominators with Al Qaeda and under its direct rule in Gaza a number of groups with global Jihad orientation are on a constant growth. In this connection it should be mentioned that for a number of months the Hamas movement exchanges verbal punches with Ayman Al-Zawahiri, Bin Laden’s second in command, who attacked over and again the Hamas for having abandoned the “way of Jihad” and for having “sold Palestine” for the comforts of government. Speakers on behalf of Hamas blamed Al-Zawahiri that his positions stem from his ignorance regarding the Palestinian reality. They claimed he encourages operational activists with the Hamas to undermine the organization’s leadership for the purpose of creating a rift in the Hamas that will provide Al-Qaeda with access inside Palestine.Hamas at this stage for political considerations is reluctant to abandon its position as a local independent Palestinian movement and join Al Qaeda, although they share a wide spectrum of ideological common denominators. The roots of conflicts between Ayman Al-Zawahiri and the Hamas movement stem from the results of Hamas’s victory at the elections for the Legislative Council on January 25th 2006. This victory constituted a political “earthquake” not only in the internal-Palestinian arena but also in the Middle East. As for the first time in the history of the Middle East a distinct terrorist organization with a radical Islamic Sunni characteristics who is identified ideologically with global Jihad entities, gained power through democratic elections. Hamas’s rise to power forced it to deal unexpectedly with the tough day today constraints of the Palestinian reality and actual” earthly” problems as a governing power and its responsibilities on a daily basis to maintain and provide urgent constant needs to its people, unlike Al-Qaeda that does not have to “run a country”, and is dismissed from any obligations, responsibilities of acting within constrains. These constraints forced Hamas to adopt a pragmatic appearance (without abandoning its long term radical Islamic ideology and its covenant) in its conduct since it took over government. In its effort to gain international recognition and legitimacy, Hamas was adopting a restrained terrorist attack policy, blurring extreme messages and “softening” them for “western ears” and the willingness to include the Fatah in the government according to the “Mecca Agreement” (who made Ayman Al-Zawahiri extremely angry, because of its content and due to the fact it was held in Mecca, the holiest city to Islam, under the patronage of the Saudi regime, mortal enemy of Osama Bin laden heading Al-Qaeda). It should be emphasized that simultaneously to Hamas’s expressions of temporary pragmatism in its governmental conduct in all aspects of daily life, Hamas hasn’t abandon its ideological principles in viewing Palestine as land dedicated to Islam, in completely negating Israel’s right to exist and adopting “Jihad” and “Mukawamah” (violence and terrorism) as a strategy through which the whole of Palestine will be “liberated”. Alongside with its harsh criticism on Hamas and as a result of its priorities, Al-Qaeda has tried to “stake a claim” also in the “territories”, with an emphasis on the Gaza strip located in a close proximity to the Sinai Peninsula, which in recent years is a center for global Jihad activities. In the territory of the Palestinian Authority in Gaza, there are today several dozen activists identified ideologically with global Jihad and with its activities around the world. These activists are trying to build a terrorist operational infrastructure in Gaza under Hamas rule, but separately from Hamas’s terrorist infrastructure while emulating global Jihad operational characteristics. At this stage there is no certain information that can indicate to a direct operational connection between Hamas and Al-Qaeda beyond the ideological connection and the sprout of small local organizations orientated to global Jihad ideology and similar style of operation to Al-Qaeda, mainly against western targets in the Gaza strip. It should be emphasized that despite this, one cannot ignore the worrisome phenomena that the Gaza strip under Hamas rule has become since the summer of 2007 an armed radical Islamic stronghold, a fact that spurred and quickened the appearance of new terrorist factors with an affinity to global Jihad who operate openly and without fear for the establishment of a global Jihad strongholds in the Gaza strip who has become to a great extent a safe haven. Since Hamas’s taking over the power in Gaza in the summer of 2007 there is a marked rise in violent terrorist organizations acting without disturbance under the protection of the Hamas rule, lack of law enforcement and even encouragement or tacit agreement to activities of organizations with radical Islamic ideology with inclinations to global Jihad.Hamas’s interests were met by these organizations as the “flag bearers” of the authentic “struggle” (“Mukawamah”-in Arabic, implication for armed struggle). Hamas used the radical Islamic elements to enhance its own status as the legitimate representative of the Palestinian people in the local arena and the inter-Arab and Islamic arena against Israel. These organizations operate freely in the Gaza strip and enjoy the radical Islamic inspiration and auspices of Hamas, which allows (or at least doesn’t prevent) their built up process as local spearhead in the Gaza strip with an affinity to global Jihad. The situation in the strip creates comfortable and undisturbed conditions for the entry of global Jihad factors through the Egyptian border into the strip in the process of building their operational abilities without disturbance. The Gaza strip under the rule of the Hamas has become a safe haven for these organizations that act to base a nucleus for the promotion of terrorist operational and propaganda abilities in the name of global Jihad. Al-Qaeda's interest in reviving jihad in Palestine and making it part of its global enterprise is evident in numerous video and audio messages it has produced, especially since 2007. So far, however, Al-Qaeda has not claimed to establish any presence in Palestine, nor has it acknowledged having direct ties to any of the self-proclaimed Salafi-Jihadi groups that are currently active in this region, especially in Gaza. Moreover, despite its considerable efforts, Al-Qaeda has apparently failed to convince Hamas – the ruling force in Gaza to abandon its political agenda, and to declare its loyalty to Al-Qaeda and its support for Al-Qaeda's efforts. In spite of the above-mentioned arguments, Muhammad Dahlan, who belongs to the younger generation of leadership of the Fatah and represents the pragmatic secular-national school in the Palestinian society, reflects in his words a growing concern in face of the erosion of the basis of legitimacy of the PLO and the Fatah as representing the Palestinian interest when he refers to the Palestinian Authority which was established as a result of the Oslo Accords signed between Israel and the PLO, as a political entity in modern terms. In much the same way, the Hamas as a radical Islamic movement, views the secular Palestinian Authority regime as an illegitimate entity that should be brought down and replaced in any possible way. The building processes of organizations and armed groups, inspired and characterized as global Jihad under the protection of the Hamas regime in Gaza, are perceived as a threat of radical Islam on the Palestinian system. 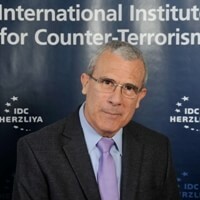 Out of its understanding of the radical-Islamic threat, Dahlan is characterizing both the Hamas and Al-Qaeda, links them together and bundles them into one general threat that strives for a strategic change within the PLO’s and Fatah’s hegemony as the sole historical legitimate representative of the Palestinian interest – a dangerous process that may change the face of the Palestinian society, and that will affect the future political processes with Israel, the Arab and Muslim world and the rest of the world. The London daily Al-Sharq Al-Awsat, editor-in-chief Tariq Alhomayed warned that under Hamas's rule, Gaza was becoming like Afghanistan, a hotbed of poverty, violence and strife among armed factions. Al-Homayed stated:” "The transformation of the Gaza strip into another Afghanistan is a future whose first casualty will be the Palestinians and their cause. This cause has been shattered by Hamas, whose members want to rule as they will, and are waiting for the world to accommodate them". Homayed continues his somber analysis accusing Hamas as “ a very real danger to the Palestinian cause. They have already blown the chance of creating a Palestinian state by splitting off from the legitimate authority of Abu Mazen… we must take a decisive stand against Hamas, for a simple reason, the boat in which they are drilling holes will not only drown them, but will drown all of us, and we will all be the victims”. The Islamization and radicalization of the Palestinian issue as represented by Hamas, pose a threat for any potential progress towards peace between Israel and the Palestinians.Hamas’s radical Islamic foundations and ideological commandments are “non-starter” positions. The new reality created by Hamas in Gaza poses a great deal of concern within the Palestinian secular national movement, in Israel and the west as well. The weak Fatah and the shaky Palestinian Authority transmit messages, statements and declarations of apprehensions that this situation may “shut the door” for a long period of time to any chance promoting the Palestinian dreams and aspirations to fulfill its national goals. The Palestinian national aspirations, as traditionally reflected by Muhammad Dahlan, towards a rational pragmatic two states solution, are threatened by the Islamic Hamas. Hamas’ maximal, irrational radical Islamic aspirations pose an internal Palestinian danger to the very existence of the PLO, Fatah and the Palestinian Authority. Al Qaeda and Hamas, as representing the radical Islamic threat perception, are bonded together by Dahlan as a major factor in shattering the Palestinian dream. Muhammad Dahlan is a Fatah leader, the former head of the Palestinian Preventative Security Force in the Gaza Strip and Arafat’s protégée. See Ely Karmon, "Iran–Syria-Hizballah–Hamas: A Coalition against Nature. Why does it Work?" Proteus Monograph Series, Volume 1, Issue 5, May 2008, Center for Strategic Leadership, U.S. Army War College, Carlisle Barracks, PA., USA, at http://www.carlisle.army.mil/proteus/docs/karmon-iran-syria-hizbollah.pdf. MA’AN News Agency, De facto government dismiss Palestinian UN representative, 13 / 11 / 2007. Ibrahim Al Ghausha, “Juzur al Khilaf Bain Fatah wa Hamas” (The roots of conflict between Fatah and Hamas) Al Majd, 29 September 2008. See http://www.almajd.net/article/details/details.asp?id=2843. Statement of The Activities of The Sixteenth Session of The Palestine National Council-February 1983,in MECS, Vol. VII, 1982-1983,pp.317-321. Yousef Al-Qazzaz, Al-Hayat Al-Jadida (PA), June 19, 2007. Felesteen, 6 November 2008.”Diwan el Fatwa Wal Tashri’ Yu’alen ‘An I’adat Mashru’ Kanoun el ‘Uqubat” http://www.felesteen.ps/index.php?action=showdetail&nid=40449. Introducing new penal codes based on Islamic religious law. http://www.navyseals.com/11-14-08-daily-update. See also http://www.terrorism-info.org.il/malam_multimedia/English/eng_n/html/hamas_e009.htm. Testimony of Steven Emerson Before the United States House of Representatives Permanent Select Committee on Intelligence, April 9, 2008,p.17. http://intelligence.house.gov/Media/PDFS/Emerson040908.pdf. Yoni Fighel, "Sheikh Abdullah Azzam: Bin Laden´s Spiritual Mentor,” International Policy Institute for Counter-Terrorism (ICT), 27 September 2001.